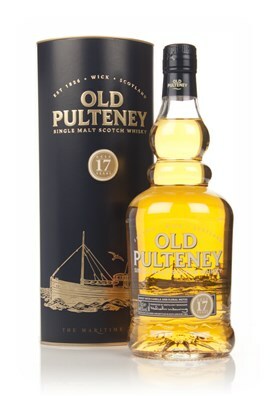 Inspired by Ralfy's Old Pulteney review I decided to give some Old Pulteney's another try, and what better time than the present. Got the samples lying around anyway. Let's try the 12 again first. Nose: Light and fresh. Light malt and barley, a little floral. Flour, white bread, a little vanilla, sour lemon. Taste: Light and malty. A bit of of flat arrival, a little fruity with mango, floral, light but prickling oak, some salt. Sour going into the finish. Finish: Medium length. Sour wood with a green note. I remember really liking this as a beginner. An easy going malt and good value for money, especially when it's on deal. Falls apart a bit if you add any water though. Nose: Quite sweet and waxy. There's some sherry influence here but also juicy tropical fruit- Pineapple, coconut, there's an oaky note too with some faint sea salt. Fruity wine gums, apricot jam, some peach, a faint wisp of wood smoke on a beach. Water: A strong but floral oak wood note with nutmeg spice. After a little while a sour lime juice and orange peel appear and work very well. Taste: Lovely, sharp, waxy and salty with fruit all over it. The pineapple is there with very juicy apricot, sea salt and spray. The fruit and the salt are very intermingled. Jam and marmalade, orange, building marine spice with dry oak wood. Water: A more gradual creamy arrival and a lovely gradual development with wax, salt and mint. A little sour lime juice and orange peel, again working very well. Finish: Long length. Salty fruit fading with a strong dry oak wood note staying. This reaches very good balance with a drop of water and 10 mins in the glass. 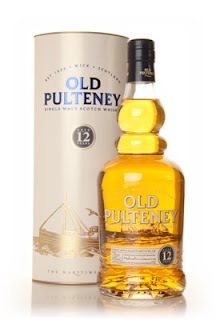 A very good whisky, look forward to trying the 21yo at some point as well.